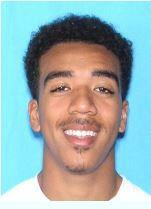 Missing Person: 19 year old Alexander Anderson (B/M, 602, 180lbs) missing from 880 SW 189 Ter in Pembroke Pines. On November 17, 2015 at approximatley 1230am the listed missing person (Alexander Anderson)got into an argument over the phone with his girlfriend. Mr. Anderson left the residence on foot while making suicidal threats by unknown means. Mr. Anderson does not have any known medical or mental health conditions, and is not currently on any medication. Alexander William Anderson, 11/15/96, B/M, Black short hair, unshaven, brown eyes, 6'02", 180 pounds, last seen wearing a royal blue hoodie, black basketball shorts, and black new balance sneakers. The Pembroke Pines Police Department is actively searching for Mr. Anderson requesting the assistance of the public and media partners in locating him. Anyone with information regarding this incident is urged to contact the Pembroke Pines Police Department at 954-431-2200.